Humans spend almost all of their time communicating with one another and there’s nothing more frustrating as when it seems others do not comprehend your message. 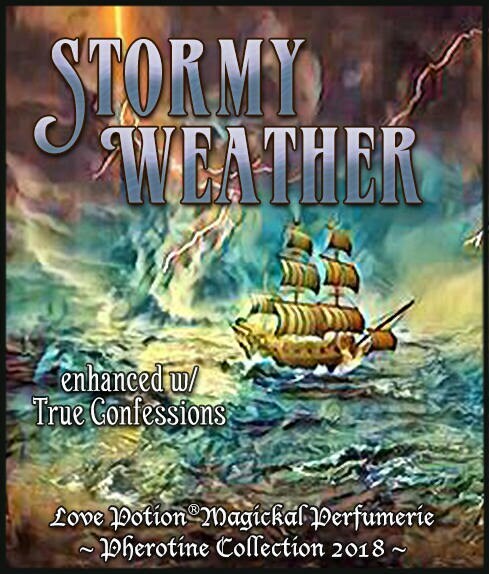 The situation can escalate very quickly, so for those trying times we’re coming to the rescue with a pheromone-enhanced fragrance to calm that turbulent sea of emotion - allowing everyone to sail out of the storm and into a tranquil harbor of peace and understanding. This unisex scent embodies a bracing aquatic vibe with multiple salt water and ozone accords plus a splash of succulent cactus juice on a base of clean musk and oakmoss. To aid in crucial conversations we’ve included a dose of our exclusive TRUE CONFESSIONS pheromone formula, the much celebrated combination of Beta and Alpha Androstenols, which purportedly encourages approach-ability, chattiness, and deeply intimate communication. Wearing a large amount is reported to have a truth serum-like effect on both wearer and others. Scent: A masculine cologne-y aquatic, but women can wear it too! WATER ACCORD ~ Cleansing, purifying. Fertility, Goddess energy, fluid of life. Renewal. SALT ACCORD ~ protection, purification, grounding, feminine energy. Resurrection, baptism. OZONE ACCORD ~ Evokes a feeling or airiness and lightning charged sky. CACTUS ~ Protection, endurance, warmth, love, inspiration, sacred gateway to the spirit world.